Reynolds Roofing TX has the capability to handle all of your residential roofing needs. Regardless of the condition of your existing roof, we will provide appropriate solutions for repair, maintenance, and replacement. Our certified Sales Representative will help educate you in choosing the right roofing solutions with Tile or Slate roofing systems. A high quality tile roof installed by Reynolds Roofing TX lasts for years, adds beauty and value to your home or building, and is an excellent defense against the harsh Texas weather. Providing great insulation, a tile or slate roof can lower your energy bills and is one of the least expensive roofing systems to maintain. With over 20 years of Tile roofing repairs and installation experience, we can advise and work on any tile roof system. 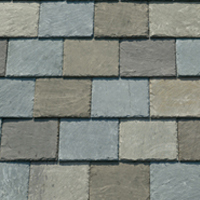 Reynolds Roofing TX has the capability to handle all of your slate roofing needs. Slate roofing options often have a sleek, classier appeal to homeowners, due to its natural stone appearance. It also comes in a variety of beautiful colors and textures. Aside from its beauty, slate roofing materials are the most fire resistant of all roofing materials out there. Slate roofs are typically known for their upscale, natural appearance because they offer unique patterns for a one of a kind roof. Like tile roofs, slate shingles are long lasting, low maintenance, and fire resistant. To make sure your roof stays durable and resilient, Reynolds Roofing TX uses copper flashings and accessories, along with the best underlayment to install its slate roofing systems. When investing in your next slate roof, keep in mind that proper installation is imperative in achieving maximum results. Call our slate roofing specialist for your one of kind slate roofing system today!